Except when it doesn’t. When it doesn’t, you will wish you had lap-shoulder belts on your school bus. Whether it is a side impact from a truck, or a rollover on the interstate, compartmentalization is not designed to protect children in either case. Kids go flying, especially in a rollover, where they are thrown around like human pinballs. They strike the roof, the walls, the seats, and often each other. When the bus comes to rest, if those kids are still conscious, they’re often in a confused, disoriented, and pain-filled pile, making it harder for them to evacuate. Watch for yourself what happens in a rollover with belted and unbelted passengers. The Griffith High School basketball team in Griffith, Indiana was on their way to the state semifinals when they experienced this nightmare firsthand. Struck by a small Kia on the interstate, the bus was forced off the road where it rolled onto its roof, which crushed at the impact. Players reported bodies ricocheting around the interior of the bus, smashing into broken windows and one another. When they students were able to crawl out through shattered windows, many were bloodied, and one coach had to be airlifted due to his injuries. There were no seat belts on their bus to keep them safely in their seats during the crash. Some bus drivers express concern that in a crash like this, they’ll have to cut students out of their seat belts, but lap-shoulder belts are just like the ones in your car. They are designed to release at the click of a button, even when someone is in the seat belt hanging upside down. It is far easier for a driver to evacuate children who are calmer, conscious, and spared from more serious injuries caused by being thrown around the interior of the bus. Carrying out unconscious children or children with broken bones is a far worse scenario. What happened to the Griffith basketball team is a perfect example of why districts that want to take the proactive step of adding seat belts should start with their travel and activity buses. Used for sporting events, field trips, and school activities, these buses are more likely to leave behind relatively slower speeds on neighborhood streets for highways and interstates where they can travel 55 mph or more. 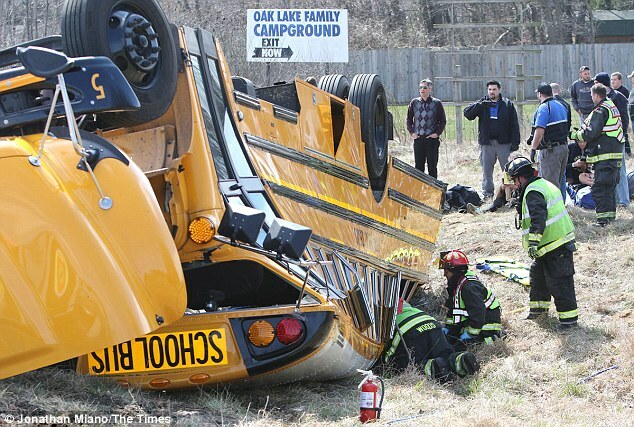 Surrounded by heavier traffic and vehicles matching or exceeding the school bus in size, travel buses are the most at risk for serious crashes like the one the Griffith High School team endured. Starting with lap-shoulder belts on these buses simply makes when it comes to protection as well as the district’s bottom line. It also makes sense for parents is you have to explain why you can’t outfit your whole fleet with lap-shoulder belts at once. Chances are their children will ride on an activity bus in the near future, whether it be for a football game or a field trip, and parents will have better peace of mind knowing their children are protected by the best seat belt technology available. The Griffith High School basketball team was lucky. Even though many of the players were hurt, no one received life threatening injuries, but rollovers like this one don’t always end on that note. 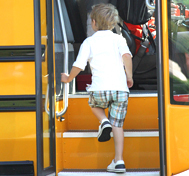 Children are our most precious cargo, and they deserve to be protected by lap-shoulder belts on their school buses, especially when compartmentalization, the only protection many of them have, isn’t enough.